I’m back with Part 2 of my Unpretty Rapstars cosmetics product review (Part 1 is over here). 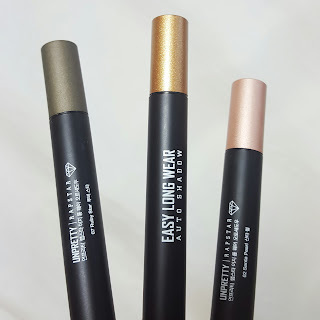 Today we are continuing with their shadow products and looking at their Easy Long Wear Auto Shadow Sticks. Shadow sticks are not usually a product I like or even find myself wanting to buy. Usually they are cakey, flaky, and look dry/patchy on my eyes. However, after testing the colors and feeling their texture I thought I’d give them a try. I’m so glad I did! I was really impressed by the color payoff and formula of these sticks. They really are long wearing (last all day with no crease) and there’s no fallout. 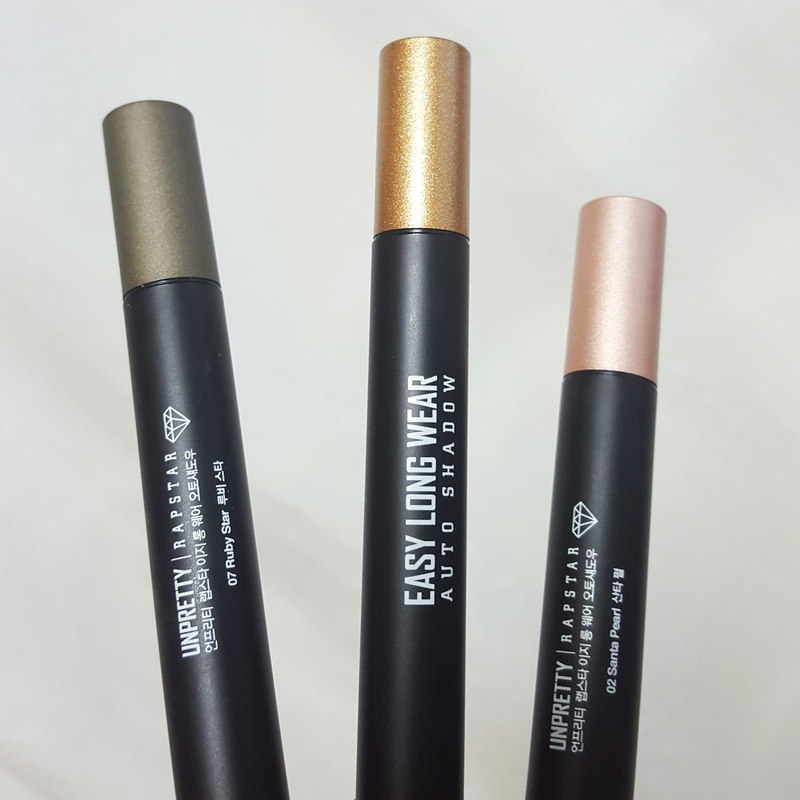 They are the perfect product to add dimension to your crease or highlight to your brow bone. They also smudge easily right after applying so you can achieve a nice smokey look, but then dry and stay put throughout the day. The light colors would make great highlighters. Once dry they are water and sweat resistant so bring on summery eyes! I know, I know. 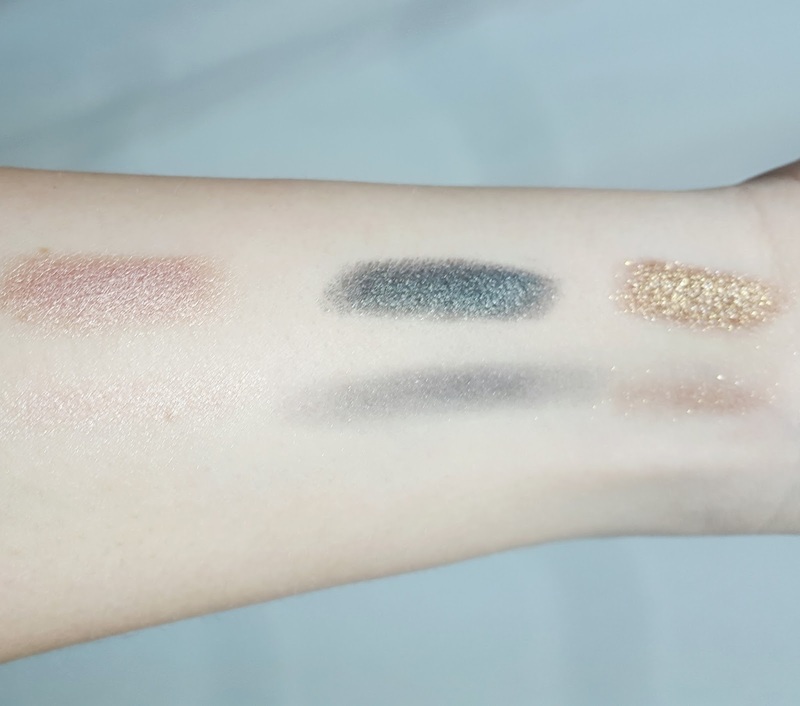 I rave about this Korean makeup brand A LOT! My wallet hates it! They are that good. I wish it was more widely available internationally but so far it is only available in Korea at the Wonderplace locations (shop in a shop) or online. Check our more posts featuring UPRS cosmetics!